Anne Haag, Practice Management Advisor, Law Practice Management & Technology. Anne worked as a patent paralegal at a local IP firm before arriving at the CBA. She is also a certified crisis counselor and volunteers as a patient advocate in the ER. 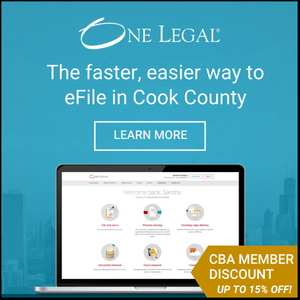 © Copyright 2018 The Chicago Bar Association. All Rights Reserved.